13 April. 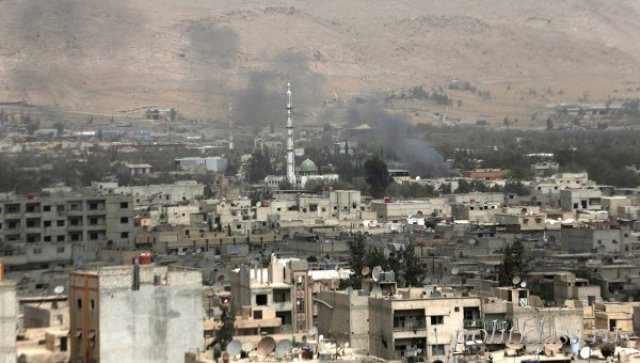 The situation in Syria is dramatically heated, despite the media reports on the removal of civilians from Eastern Guta and militants who do not want to surrender, the conflict in that area has passed into an aggravation stage. Why is this impossible to understand without realizing that European society is very receptive to any hint of the possibility of using chemical weapons. This is really a sick subject. Suffice it to recall the story of the poisoning of the Violins with the possible use of a poisonous substance. This crime stunned the European public not only by the fact of the attempted murder, but by its consequences: hypothetically, the components of the deadly substances used against the Fiddles could affect hundreds of people. It's enough to remember the policeman who got to the hospital. The hit of weapons of mass destruction in the hands of terrorists is not a scenario of a horror film, but a depressing reality. Suffice it to recall the attack of the Japanese sect Aum Shinrikyo in the Tokyo metro. All that is associated with chemical weapons of mass destruction, for Western society has a panic. Not for nothing since the Cold War, the anti-nuclear movement in the West was sincere, not ostentatious in nature (as, for example, in the USSR). This sensitivity to chemical weapons is superimposed on the Syrian conflict. It so happened that a country in which a civil war has been going on for about seven years is the owner of a rather impressive arsenal of chemical weapons (according to some estimates, Syria is the world's third-largest nuclear weapons stockpile). At least until recently, there was such an arsenal in Syria. Under agreements of 2013 from the country should deduce about 1,3 thousand tons of poisonous substances. Syria increased its stockpile of chemical weapons under the pretext of responding to Israel's nuclear program. Syria could not create its own nuclear bomb, and Israel would not allow it. But chemical weapons can be developed more imperceptibly and simply. In addition, Iraq under Saddam Hussein was also a geopolitical opponent of Syria, and it was well known that Iraq used military poisoning substances, including to suppress the uprising of the Kurds. Then, by the way, the West did not react to the killing of thousands of Kurds by poisonous substances, since it saw a greater threat in Iran than in Iraq. But the further in time that event, the more attention is paid to it. Cousin Saddam Hussein's cousin, who at that time commanded an attack on Kurdish villages, received the nickname "Atomic Ali", and poisoning itself was one of the most terrible crimes of a deposed dictator. During the civil war in Syria, numerous instances of the use of chemical weapons were recorded. Fixation of these facts became possible due to the newest means of communication, and the fact that Bashar Assad was initially viewed as an enemy. Now the suffering of the peaceful Syrians is seen as something for which the West is directly responsible, and the moral duty of the West is to protect civilians by preventing the use of chemical weapons of mass destruction. In this regard, in 2012, Barack Obama said that in case of using chemical weapons, the conflict in Syria will move to a new level. Washington will not tolerate this. Therefore, when in 2013 there were reports of the use of chemical weapons in East Gut, Barack Obama directly threatened to attack Syria. Then Russia intervened, and the conflict was resolved. The parties reached a compromise: Damascus handing over its entire arsenal of poisonous substances. At the same time, Russia was the guarantor that Bashar Assad would fulfill his promises and surrender all his chemical weapons. 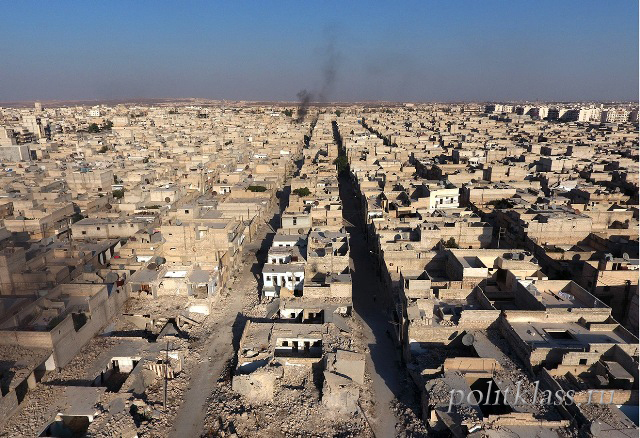 However, the further development of the situation in Syria showed that the problem was not completely solved. Accusations of the use of chemical weapons continually surfaced. In particular, in April 2017 there was a report on the use of chemical weapons in Khan-Sheikhun. The reaction to this news from the current US President Donald Trump was his first significant step in the international arena. Trump without hesitation gave the order for a missile attack at the military air base "Shayrat." At the same time, Trump first entered into an open conflict with Russia, whose air defense did not dare to shoot down US missiles. At that time, the illusions about Trump, if they had anyone, disappeared. It became clear that the US policy towards Syria is not determined by the person who is in power, but by much more serious motives. As for the facts of the use of chemical weapons, they can not be denied. And it's not even who is to blame for the use of chemical weapons. For the United States and the West, Assad will always be guilty, if only because he committed a civil war in which chemical weapons are used that are not acceptable to Western countries. One should not harbor hopes that it will be possible to change the mind of the US, citing "support of a legitimate government" (which Russia insists on) or "fighting terrorism". Therefore, despite the notable success of the Assad government in the fight against the adversaries, the West is not going to forgive him for anything. Moreover, his success can at any time turn into a defeat. Let's remember another Western arch-vocalist, Slobodan Milosevic, who took control of almost all of Kosovo to lose it for Serbia forever. 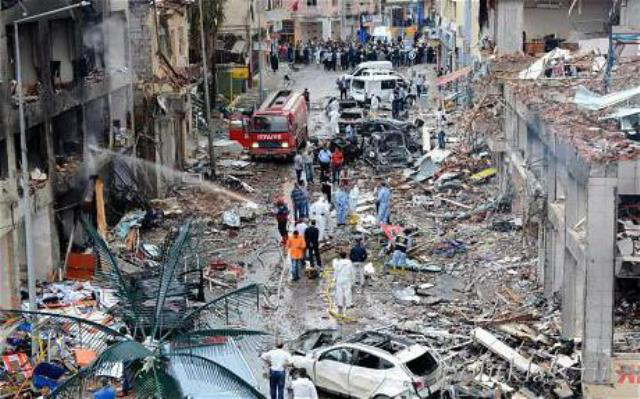 What will be the US reaction to the events in East Gut - this is the matter of the White House. Russia will not be able to influence this issue. How could not cancel the Israeli strikes against Syrian military hostels. 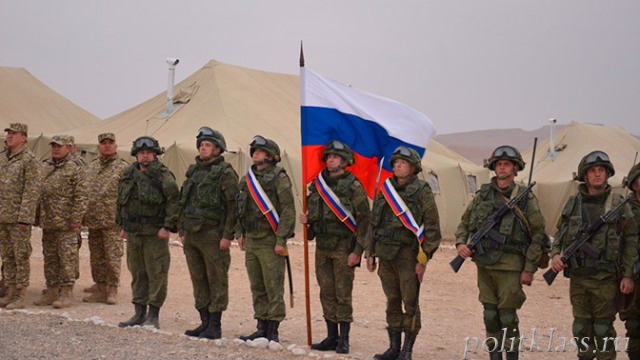 Moscow's support for the current Syrian authorities is conditional. There is a certain trait in it that Moscow will not cross. Until now, the main stop of the US was not Moscow, but there were memories of the war in Iraq. But as Paul Jones (a famous historian) wrote, the US is a very moralistic state with a big role for the media. If the media continues to heat up passions about the victims of chemical attacks, then Trump will have to intervene no longer once, but with the goal of finally ending the irritants. Moscow will not go into armed conflict with the United States, especially taking into account the economic consequences of this action. Even point sanctions were enough for the collapse of quotations.